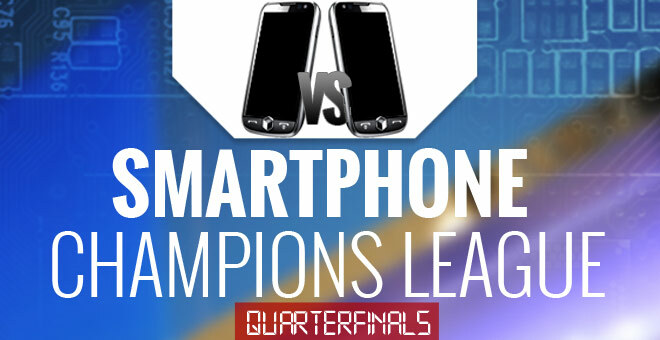 We are now at the Quarterfinals stage of the Smartphone Champions League and things are really heating up! Only 8 out of 32 participants are now left and every one had to go through tough battles to get here. And four of those will be one step closer to the Winner’s podium after today’s games complete. We have some high rollers as well as a few surprises entries here and there. The Nokia Lumia 1020 which stands up against the Samsung Galaxy S III, then there are the LG Nexus 5 vs Sony Xperia SP, HTC One vs Nokia Lumia 520 and the Sony Xperia Z1 vs Nokia Lumia 1520. Voting is now closed. Stay tuned for the Semifinals round coming up in a minute!